Truck Campers - The Future Of Self Build Camper Vans? Truck Campers – The Future Of Self Build Camper Vans? When we think about doing a self build camper van conversion here in the UK, we usually go straight to the classic Mercedes Sprinter, or maybe the trusty Vauxhall Movano. 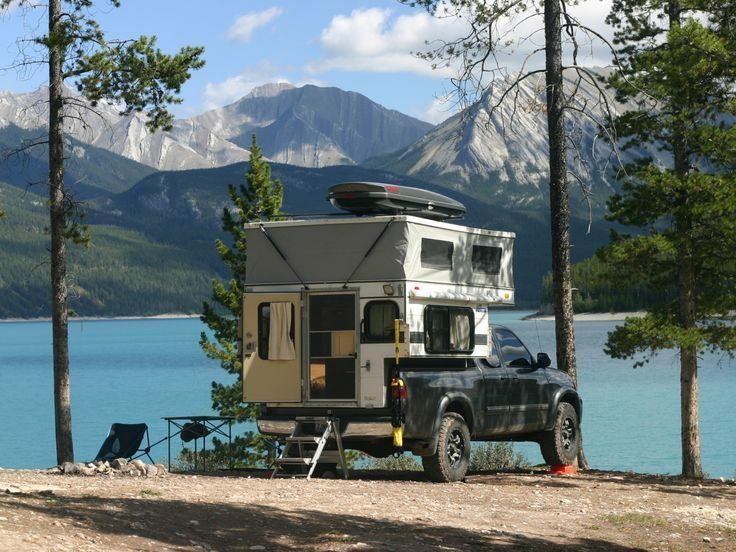 But across the pond, Truck Campers are the go to vehicle for that once in a lifetime journey. Over at Truck Camper HQ, they have this to say about America’s self build vehicle of choice. I think the main reasoning behind this is that you can be a lot more inventive with your build, to the point where you can even start adding second floors if you like! You’re building straight onto the truck bed itself, so you’ve already got a seriously sturdy base thats designed to carry a heavy load. A vehicle doesn’t need to pass an MOT in America like it would have to do here in the UK (or didn’t need to with some of the older conversions at least) and there are also less stringent specifications as to what a ‘Camper Van’ has to and doesn’t have to have. Check out our brief guide on building a UK Camper Van for more info. So Lets See Some Examples Then! All right, hold your horses! Have you never heard of setting the scene? Ok, here goes. Remember, people have driven and lived in these. 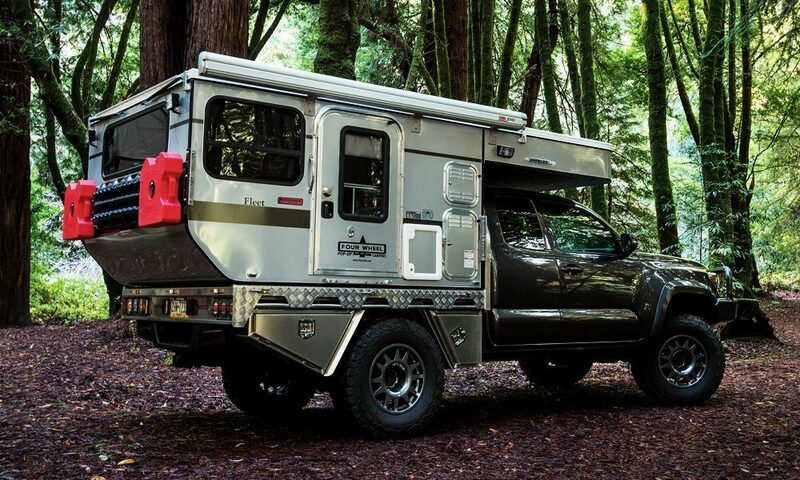 So no matter how insanely dangerous they might look to us Brits, these Truck Campers are genuinely awesome machines that really make you think outside the box when it comes to conversions. Can you imagine sitting up on the second floor whilst going down the M1. I’d make sure to have a spare pair of pants next to me for the journey. It’s like a miniature house, and there would definitely be no issue with headroom! 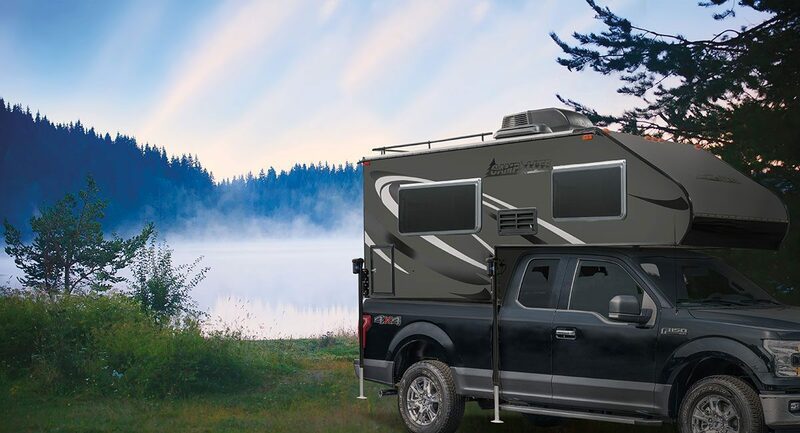 With electric hook up and more windows than you could shake a stick at to let in fresh air, you’ve got yourself a home away from home no matter where you are. Ok so not a good idea to be up here whilst you’re travelling, but great if you’re short for space on the ground and want to catch some rays! Stylish, inventive, and very stealthy in the woods, this log cabin truck conversion reminds us of the Teardrop Trailer that we covered a few months back. There’s also a huge market for pre made kits that you can stick straight onto the back of an existing truck, meaning that you can remove it when necessary and have the camper part free standing, freeing your truck back up for conventional use. Haven’t We Covered Truck Campers Before? You’re catching on fast. 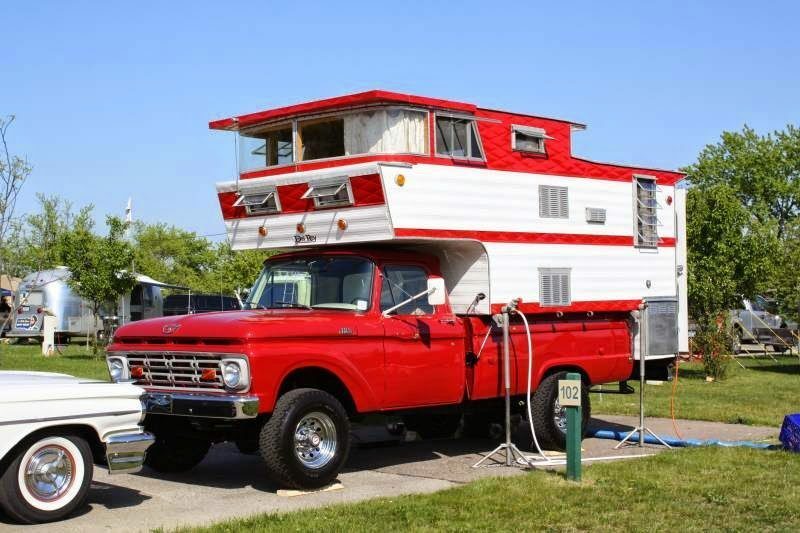 Truck Campers have been around for so long that when you see something like a self built Truck conversion, you forget about the shiny pre built models like the Woolrich Pop up Camper below, or the insanely expensive EarthRoamer, which even has its own plumbed in washing machine! 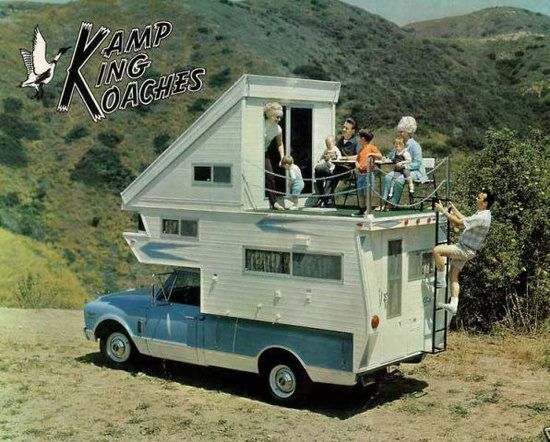 If you’re looking into Truck Campers, then you’re already an inventive character that doesn’t need any help from us on how to make it look awesome. I think its safe to say that from the few examples that we’ve already seen above, the possibilities and variations are endless. For me, I think I would have to go down the self build route, purely because you can be so inventive with your ideas. 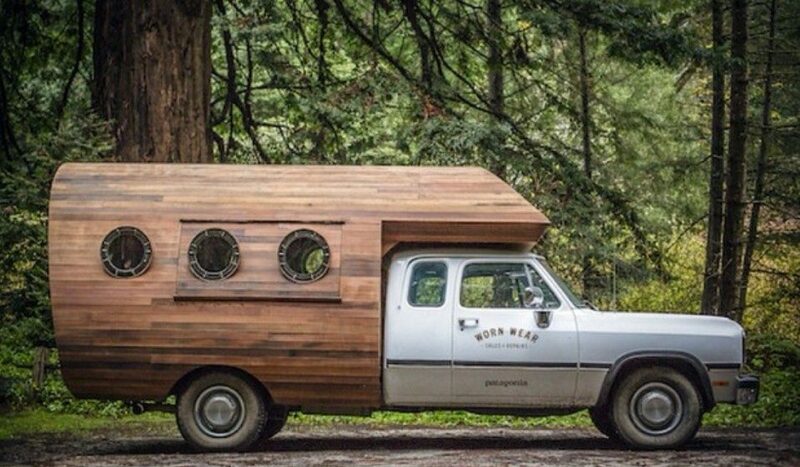 They look quirky, and you can really put your personality into your new home on wheels. Whether you go double decker or forest ninja, you’ve got yourself a sturdy, easy to get hold of, and inexpensive vehicle that you can keep for the rest of your life. 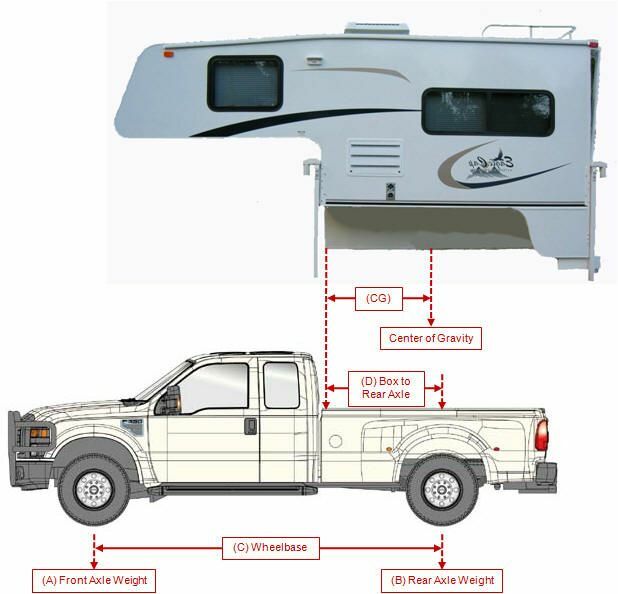 Thinking of starting your own truck conversion? Join the Van Clan on Facebook, Twitter and Instagram for more Self Build Campers and Van Life Stories.